If you are an investor, what do you think the best predictors for success for a startup are? If you could pick only one metric, which one would you use? Peter Thiel, who invested in both PayPal and Facebook so seems to know what he is doing, reckons it is to examine how much the CEO is paying him or herself. A low CEO salary has two effects, both of them important. It means that the CEO is focused on making the equity of the company valuable, rather than attempting to make the company last as long a possible to collect a paycheck. The second effect is that the CEO’s salary is pretty much a ceiling on the salaries of all the other employees and it means that they are similarly aligned. The effect of those two things together means that the cash burn-rate of the company is lower, perhaps much lower, and as a result either extra engineers can be hired or the runway to develop and get the product to market is longer. When Thiel was asked what was the average salary for CEOs from funded startups he came up with the number $100-125K. For an EDA startup, this seems pretty low since it is much lower than good individual contributor engineers. I have seen a report that an EDA or semiconductor startup CEO should be paid around $180K (plus some bonus plan too). On the other hand, maybe Peter Thiel is right. How many EDA and semiconductor startups have been that successful recently? A good rule of thumb in a startup is that the more junior you are then the closer to normal market salary you should get. There are two reasons for this: you can’t afford it and you don’t get enough equity to make up for it. If you are on a $100K/year salary at market, you probably can’t afford to work for $50K/year. If you are an executive at a big EDA company making $400K/year you can afford to work for under $200K/year. If the company makes it, the vice-presidents in the company will have 1-2% equity, which is significant. The more junior people typically not so much (at least partially because they are that much more numerous) unless the company managed to bootstrap without any significant investment. Thiel has a company, younoodle, that (among other things) attempts to predict a value a startup might achieve 3 years from founding. It is optimized for internet companies that have not yet received funding, so may not work very well for semiconductor or EDA startups. 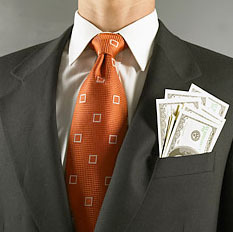 And guess one of the factors that it takes into account when assessing how successful the company will be: CEO pay.